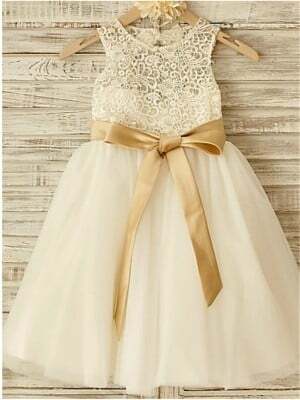 The dress is very pretty. 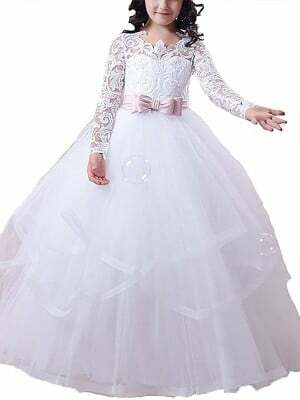 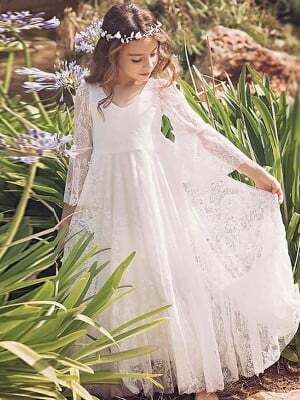 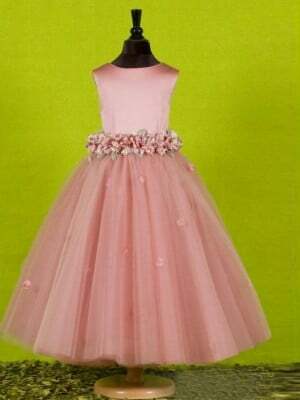 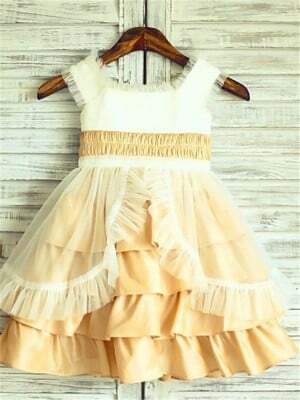 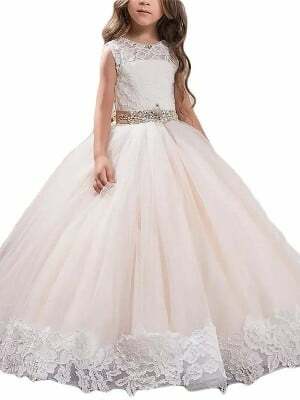 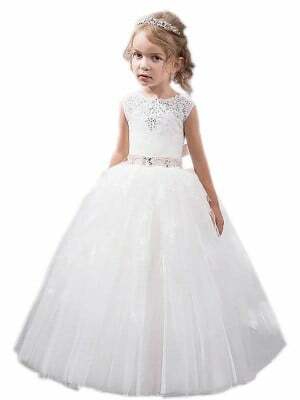 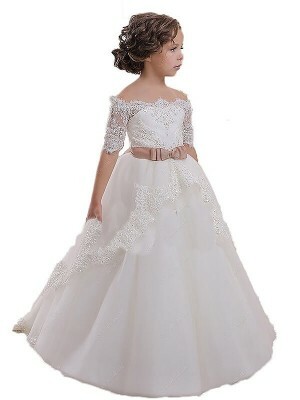 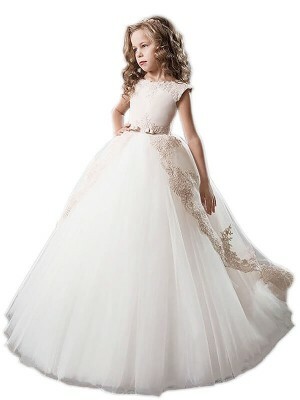 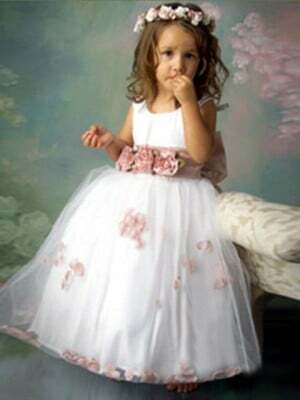 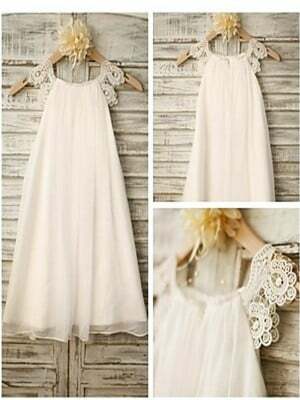 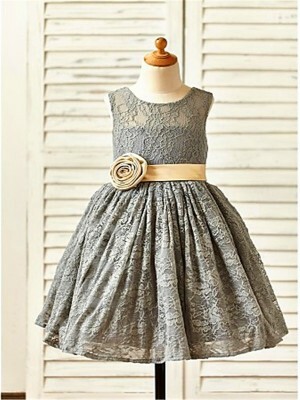 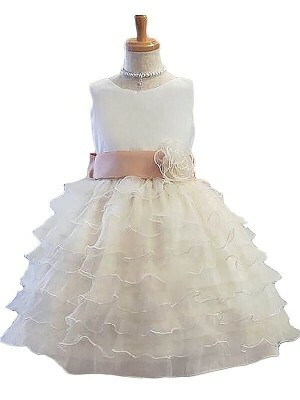 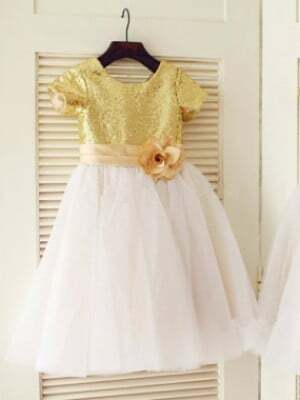 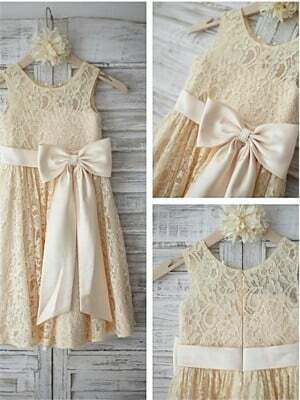 I got the white version and my flower girls love it. 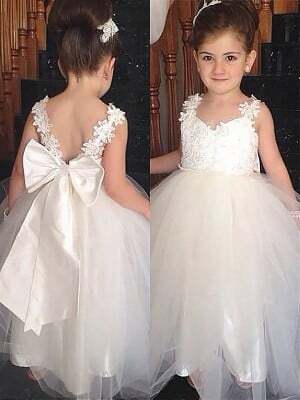 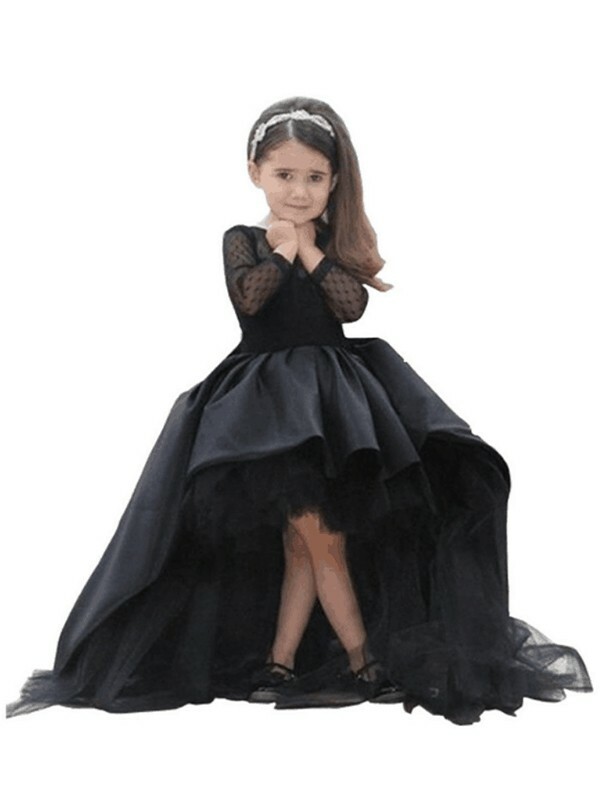 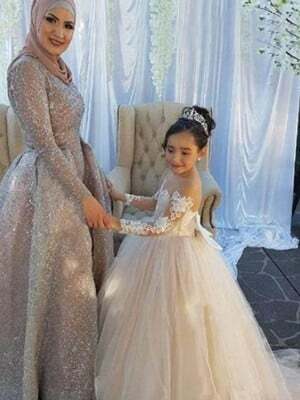 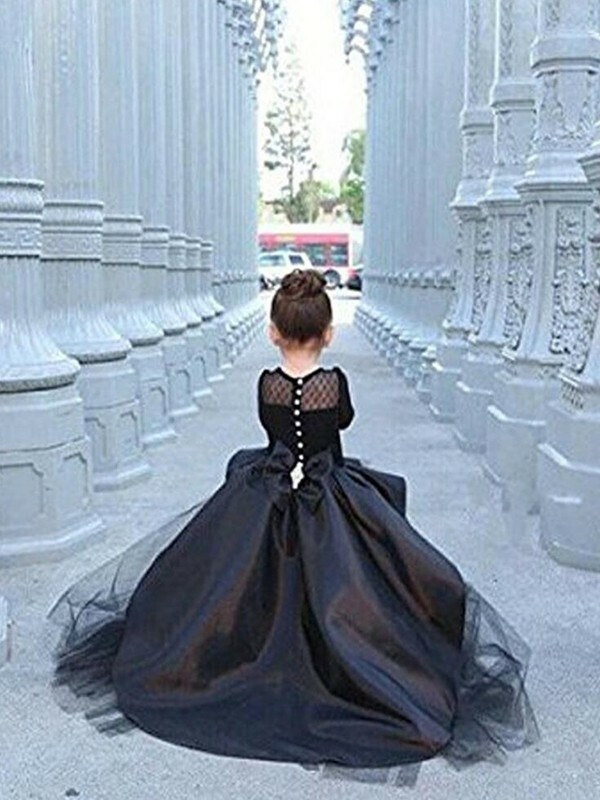 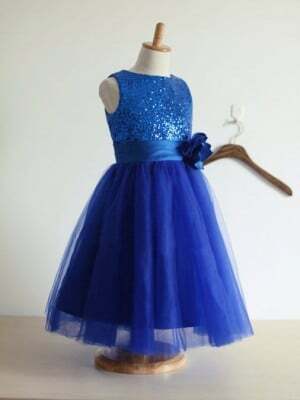 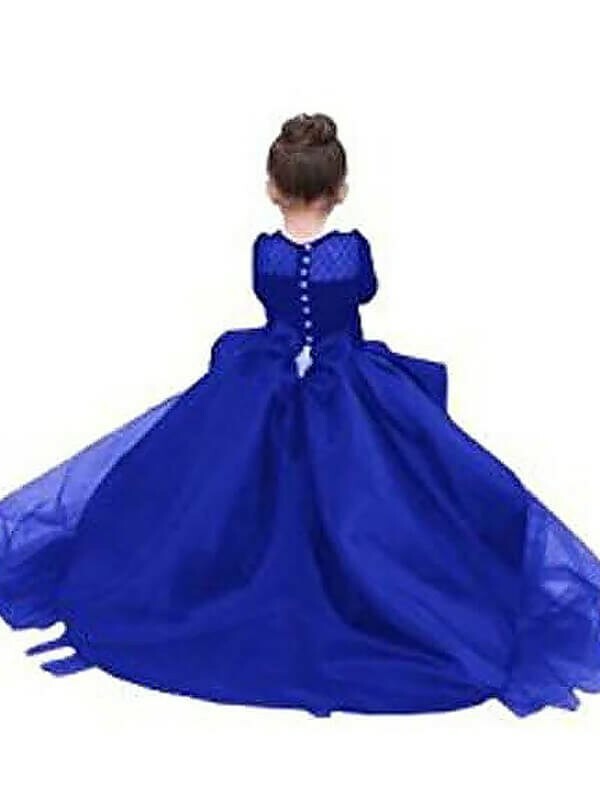 The dress is pretty much fit to size but I did notice a few differences with the picture shown and when my flower girls put them on. 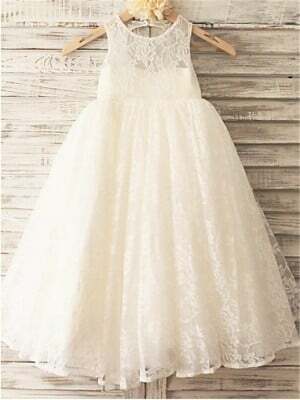 The first thing is the sleeves, ours came in as quarter sleeves and not long sleeves. 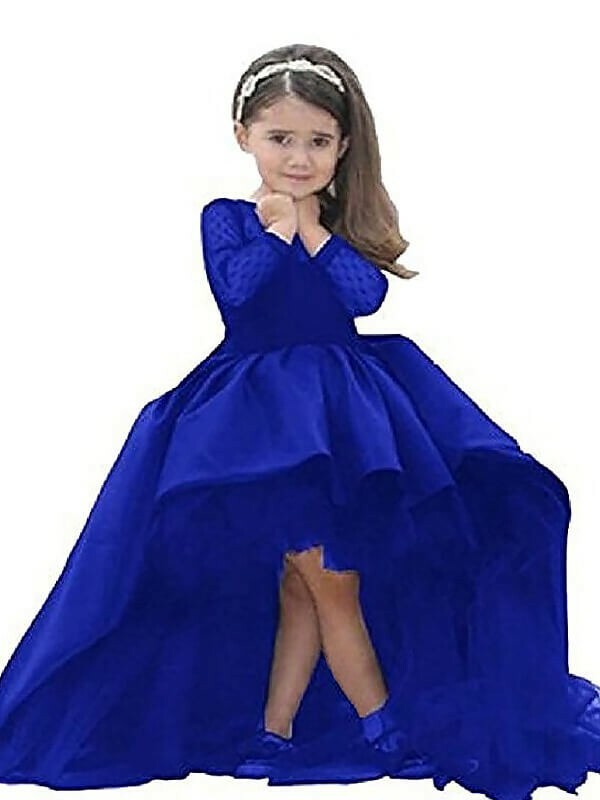 Which is fine because no one would know what it’s supposed to look like. 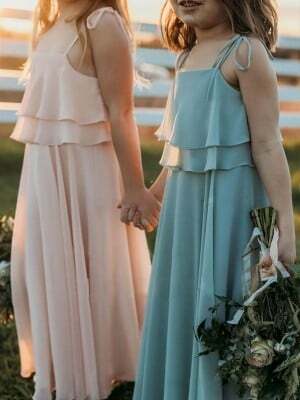 Then I noticed that their dresses are not as poofy in the front as the picture shows. 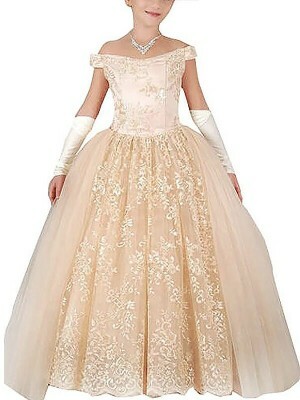 Then I realized that it’s probably because they have on an extra petticoat underneath. 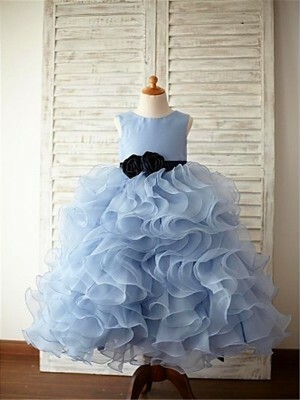 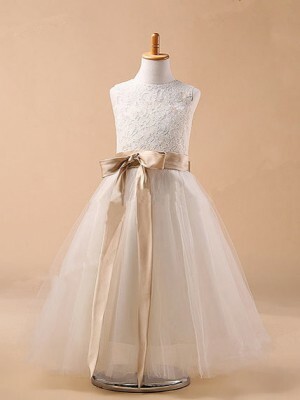 So now I’m on a hunt to find a petticoat for their dresses because it looks flat in the front. 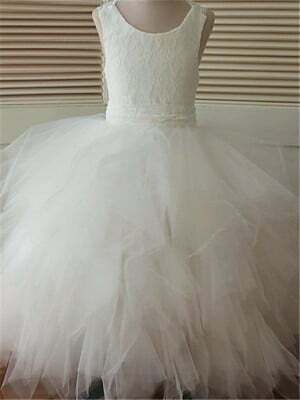 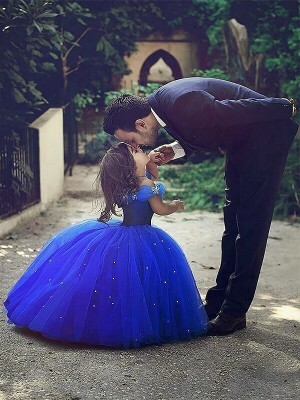 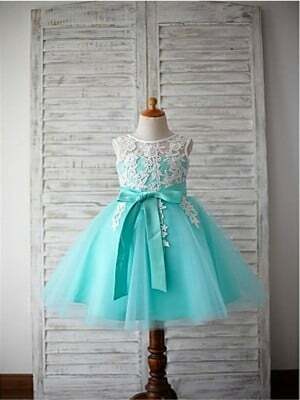 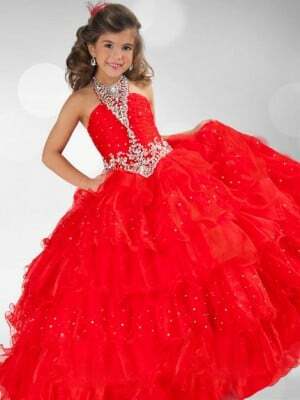 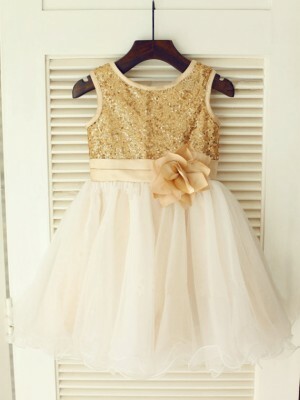 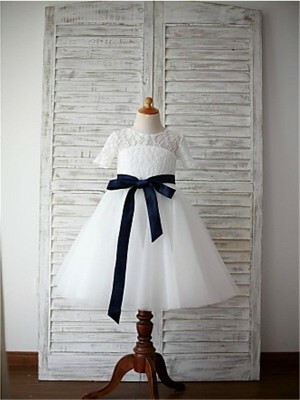 Other than that, very beautiful dress and I can’t wait for them to wear it on the big day!